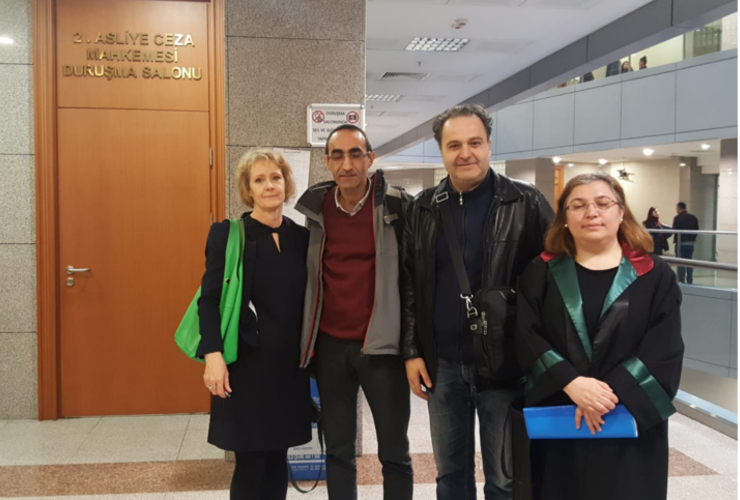 In early March, IPI Turkey Advocacy Coordinator Caroline Stockford attended the trial in Istanbul of Fatih Polat, editor-in-chief of Evrensel, one of Turkey’s last remaining independent newspapers. Polat was acquitted of publishing a tapped telephone call – a small bit of good news in Turkey’s media crackdown. 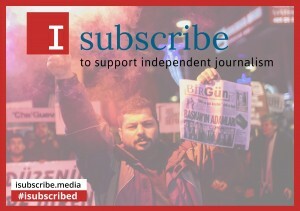 Evrensel is also one of two newspapers being featured in IPI’s I Subscribe campaign, which encourages international readers to subscribe to independent media in Turkey. IPI spoke to Polat after the verdict about the continued pressure on the media in Turkey. IPI: Earlier this month, you were acquitted on charges of publishing a tapped telephone call between ministers. Did the acquittal come as a surprise? Fatih Polat: We were expecting the acquittal because the leaked conversation between the then-Ankara mayor Melih Gökçek and the Parliamentary Commission Chair Burhan Kuzu had already been published in (another) newspaper. However, I have over 30 cases against me as editor of Evrensel. These days, there are a lot of cases of high-level politicians such as President Erdoğan, former Prime Minister Binali Yıldırım and Erdoğan’s son-in-law and now-Finance Minister Berat Albayrak opening court cases and asking for unnecessary corrections to be made to news stories concerning them. Turkey is going through a hard time at the moment and the number of acquittals in journalist cases is going down because this is a period in which the relationship of the state and the judiciary is deepening. IPI: The second round of the global I Subscribe campaign features Evrensel. Financial pressure on independent media is a big concern, exacerbated by the abuse of state advertising. Do you receive funds from Turkey’s Public Advertising Authority (BIK) and is it as much as it should be? FP: We do get official advertisements from them, but this is based on the circulation of the newspaper and we can say that the circulation figures of newspapers close to the government are inflated and there is an unfair sharing out of the public advertising revenue. Another problem is that there is now a monopoly in media distribution. With the closure of the logistical company Yaysat, its competitor Turkuaz is the only distribution company in operation. We have to pay 15,000 Turkish lira (about 2,400 euro) more per month to them than we used to pay to Yaysat. IPI: How has the increase in the price of printing paper affected you? FP: The price of paper had gone up in the past, but the closure of Turkey’s paper manufacturers created a huge problem and came alongside a drop in the lira exchange rate. This caused paper prices to skyrocket and was the reason for the closure of a lot of local newspapers. We at Evrensel have reduced the number of pages and we’re not covering our costs entirely at present. We also publish an e-newspaper and this helps to balance things up as a source of revenue. However, from the perspective of the right of the people to receive the news, Evrensel goes out because it has to go out. But in truth, under these conditions it would be hard for any newspaper to survive. IPI: Where do you see the value of the I Subscribe campaign amidst all these problems? FP: This campaign gives moral support to newspapers such as Evrensel and BirGün because it shows that these papers are not alone and this provides valuable psychological support. However, these solidarity subscriptions are not enough to make a big difference to the paper. 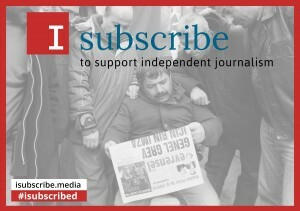 The important portion of our e-newspaper subscribers are in Turkey and a very small number are overseas. Perhaps new and different forms of solidarity can be developed, for example a solidarity campaign to help journalists pay their fines. IPI: As Evrensel’s editor-in-chief, you observe a lot of journalist trials. How do you fit this in with your workload? FP: This is not something that we want to do, it is something that we have to do. Showing our journalist colleagues that they are not alone is also to stand up for the profession as a whole and is, therefore, part of our role as a reporter. The only way we will get through this is by defending the profession of journalism for all our colleagues, especially if we know through personal experience what it feels like to be subject to criminal proceedings for our journalistic work. 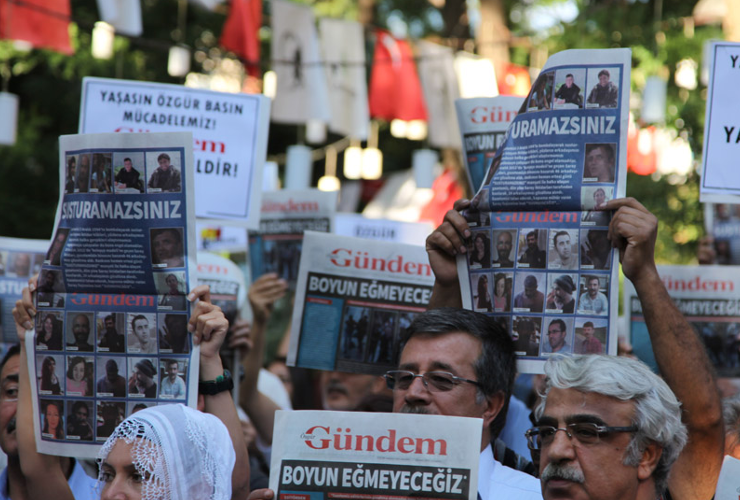 IPI: Do you see any improvement ahead for the press freedom situation in Turkey? FP: I see these issues as mirroring the development of democracy in Turkey and following the pulse of the people’s attitude to democracy. We see the deepening of these problems as democracy in Turkey continues to come under pressure. Although we organize and coordinate support for other individual journalists at their trials, journalists alone cannot change this. But when there is an oppressive climate surrounding the general populace and when other democratic opposition sources are not being sufficiently supportive then this is not something that journalists alone can solve. 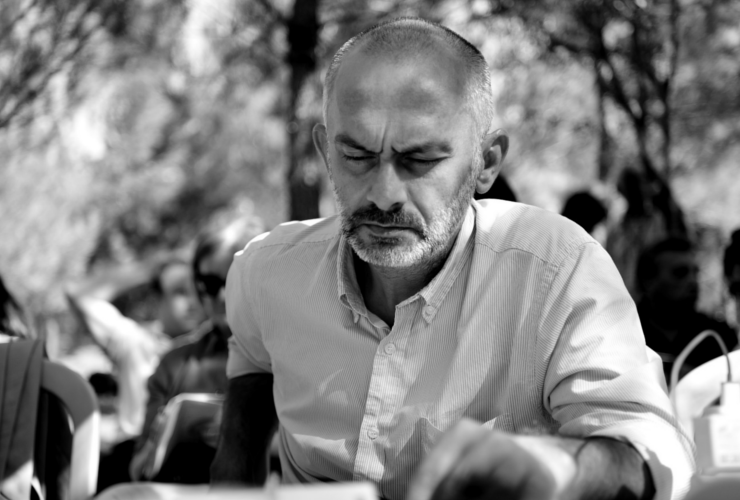 Support Evrensel and BirGün by subscribing to their online editions. See the campaign page here. Thank you for letting Turkey newspapers know that they are not alone. This website is maintained by the International Press Institute (IPI). Information appearing on the website has been compiled from publicly available sources. While IPI makes every effort to ensure that this information is timely and correct, it makes no warranty as to the accuracy of that information and accordingly disclaims liability for any inadvertent errors.